The remoteness of Antarctica makes getting there a challenge. However, as Michael Leggero explains, this is an amazing continent and one of the only places on this planet where nature truly feels untouched. Travelling abroad by air plane can be very restrictive. It all depends on the type of trip and images you are taking. With a variety of landscape categories and images from all over the UK, is this a book everyone should consider buying? When it comes to camera club competitions, four ingredients are vital for becoming a winner as David Hay explains. Patience And Persistence are both vital ingredients when it comes to intimate landscape photography as Dimitri Vasileiou explains. 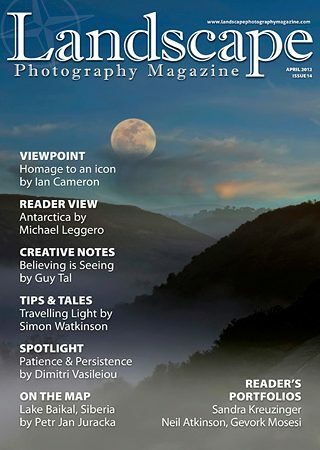 Guy Tal shares his thoughts and experiences on leading and instructing landscape photography workshops and courses.